Bigger doesn’t always mean better. This is the route Apple is taking with their new iPhone SE, which was introduced on Mar. 21. Upon looking at the iPhone SE, you might get a feeling of déjà vu. The exterior design is almost identical to the iPhone 5s. Additionally, the new iPhone comes in more colors than those available in the iPhone 5s. Like the recent iPhone 6 and 6s, users can choose between rose gold, gold, silver and space gray. The latest iPhone runs on iOS 9.3, which has new features like Night Shift. Night Shift adds a yellow tint to the display and is specifically targeted towards those guilty of using their phone before bed. The custom A9 system is a dual-core processor with 1.85 GHz. The combination of the efficient processor and improved software make this phone more powerful. Not only is the phone faster, but it has an even longer battery life. Though the battery size is the same as the iPhone 5s, it has just as much, if not more battery life than the iPhone 6s. According to Apple, the iPhone SE has 14 hours of talk time, 50 hours of audio, up to 13 hours of internet and video playback and 10 days of standby. The 12 megapixel rear camera can record videos in 1080p and 2160p. A big aspect of the iPhone SE is the price. On the Apple website, the 6th generation of the iPhone sells for as little as $549. The iPhone SE will retail for $399, making it more affordable than its predecessor. Although seemingly better, the smaller size doesn’t come without compromise. The front-facing camera has a lower resolution, at 1.2 megapixels — a downgrade from the 5 megapixels camera of the iPhone 6s. The iPhone SE will also only come in 16GB and 64GB, eliminating the option for 128GB of storage. There is also no 3D touch, a feature introduced in the iPhone 6s which allows users to perform different actions based on how hard they touch the screen. Even though the new iPhone SE sounds promising, it is predicted there will be limited sales within the first year, and the U.S. Consumer Intelligence Research Partners forecasts that Apple will probably only sell between four to six million units. They claim that users who already own any generation of the iPhone 6 won’t be as willing to “downgrade” to smaller screens. 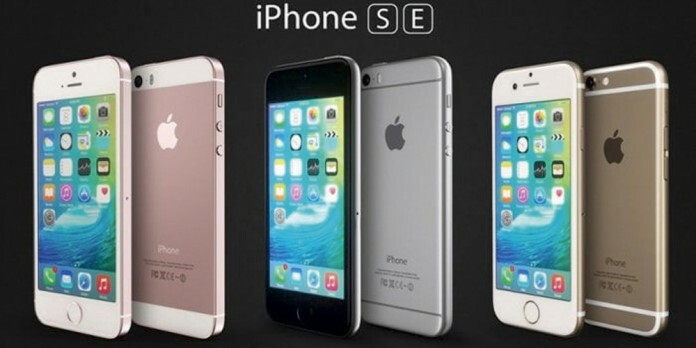 The iPhone SE is currently available for pre-order, and will go on sale starting Mar. 31.